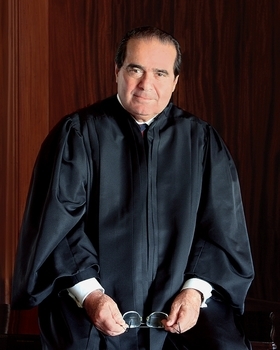 Justice Antonin Scalia was appointed by President Ronald Reagan. The death of U.S. Supreme Court Justice Antonin Scalia, who famously said the Affordable Care Act should be called “SCOTUScare,” leaves in limbo a number of healthcare-related cases. The news also quickly sparked a debate over who would replace him amid the presidential campaign. Scalia died Friday, presumably of natural causes, at a ranch in Texas. He was 79. The Supreme Court justices are considering a number of important healthcare cases focusing on topics including abortion and the ACA's contraception mandate. The court is also weighing a case about data sharing with potential implications for insurers and state healthcare reform efforts and another case with the potential to reduce—or increase—the number of False Claims Act suits brought against healthcare providers and other companies. Scalia felt that the Supreme Court justices had gone so far in ostensibly rewriting the ACA, that it should be named after them. President Barack Obama Saturday said he intends to nominate a new justice, but it's unclear whether he would be able to, given Republican opposition to filling the seat before a new president takes office. It's possible the court could hold off on hearing those four big healthcare cases until a new justice replaces Scalia, said Josh Blackman, an associate professor of law at South Texas College of Law who's written extensively on the Supreme Court. He said that's happened in the past. That's the kind of challenge that could result in a 4-4 split--but such an outcome would lead to different rules across the country. That's because seven circuit courts have sided with the government, and one has sided with the religious not-for-profits. Some, however, have speculated the government was more likely than not to win that case anyway, with or without Scalia. The Supreme Court this term is also considering a case, Gobeille v. Liberty Mutual Insurance Co., on whether a self-funded insurer should have to turn over certain information—such as on claims and member eligibility—to the state of Vermont for its all-payer database. The state argues it needs the data to improve the cost and effectiveness of healthcare and that a ruling against it could also limit reform efforts in other states with similar databases. The court is also weighing a case, Universal Health Services v. United States ex rel Escobar, about fraud lawsuits that's caught the attention of major healthcare organizations and associations. That case is over the validity of a legal theory now used to bring many fraud lawsuits against healthcare organizations. The case has the potential to reduce—or increase—the number of False Claims Act suits brought against providers and other companies.